Imagine this scenario: A citizen generously donates 250 acres of forested land to your town. Your mission: Team with other citizens to create, propose, and present what you believe would be the best use of this land. Consider the needs of your town’s human, animal, and plant residents as well as local businesses, schools, and jobs. Pitch your proposal to your Town Council, whose members will vote on which one they believe is best suited to the needs of all involved. Welcome to Forest Consequences, an activity in Project Learning Tree’s PreK-8 Environmental Education Activity Guide. 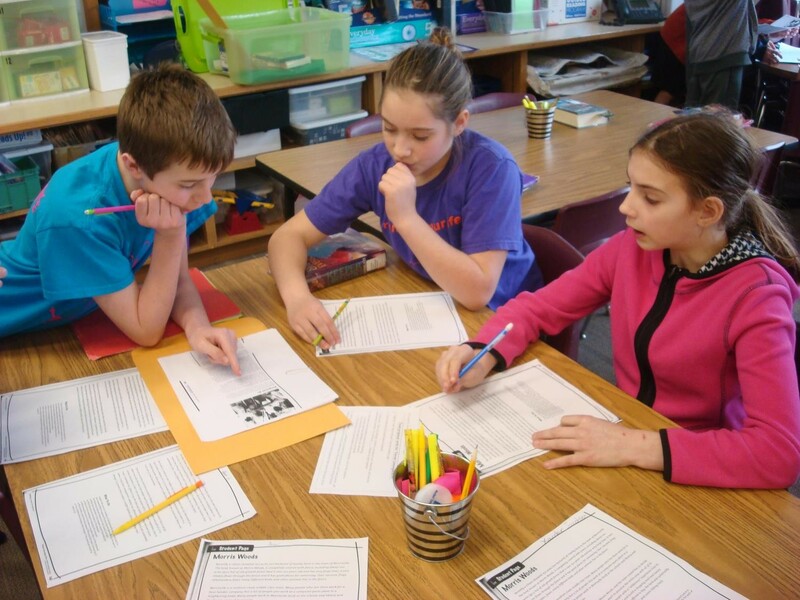 Students in a St. Paul, MN fifth grade class dived into this challenging cross-curricular unit with characteristic gusto! 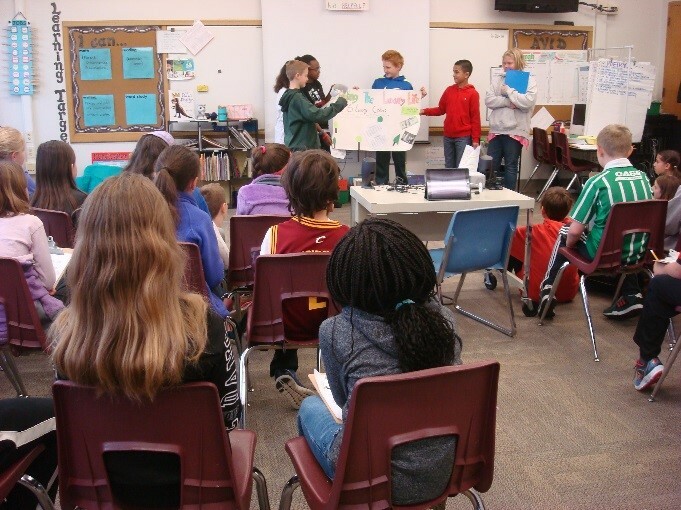 They worked in five teams of six students to develop creative and varied proposals to another class designated as the Town Council. Guiding this mission were homeroom teacher Ms. Tari Hella-Yelk, her student teacher Ms. Maggie Gleason, and science and literacy teacher Ms. Karen Christenson. Forest Consequences is geared for use with middle school students and incorporates multiple subjects: Social studies, science, reading, writing, speaking, and listening to name a few. Here’s a chronological account of how we conducted this activity. Each of the eight sessions was approximately 40 minutes, but can be adjusted as needed. Set the tone for respectful listening and thoughtful sharing. 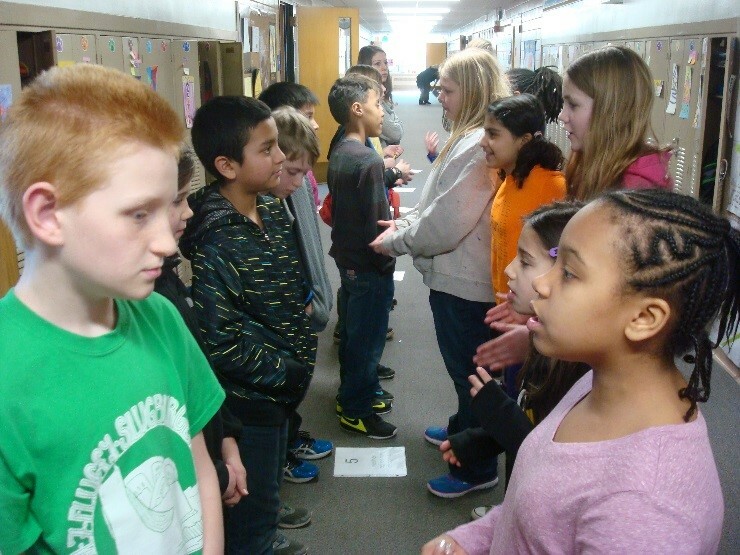 Model how to both speak and listen to differing opinions using another PLT activity, Viewpoints on the Line. Develop ground rules and expectations for true teamwork: What does teamwork look like? Sound like? Feel like? Team 4 reads and reflects on all three proposals. Together, they decide what aspects are important to them. They may use elements of any of the three proposals to create one of their own. Team 5 is instructed to NOT read any of the three proposals. They are to reread the Morris Woods scenario and determine what factors are most important to them as they create their own unique proposal. This team has the most freedom but also the most decisions to make as they are starting from scratch. Note: We recommend randomly assigning proposals to teams. Explain to students on teams 1, 2, and 3 that they may have been assigned a proposal with which they do not entirely agree. Explain to them that this is for the greater good of representing multiple community voices. Their job may include some “acting” to show their support for a particular aspect of the proposals. Show a few examples to illustrate multiple ways to highlight and present proposals: A map, a pros and cons poster, a song, and so on. Give students time to meet and read through their proposal and pitch initial ideas. Allow each team time and space to brainstorm ideas, themes, modes of communication, and tasks. Give teams time to rehearse their presentations and work out any glitches. Session 7: The Big Day! Town Council casts their votes. Ballots are collected in a box and tallied, but not reported yet. We chose to keep the initial focus on the process and allow time for some “marinating” on what they had experienced, seen, and heard. Before reporting the voting results, host a debriefing session with the whole class. Questions can be found under Step 7 of the Forest Consequences activity on page 139 in the PLT PreK-8 Guide. 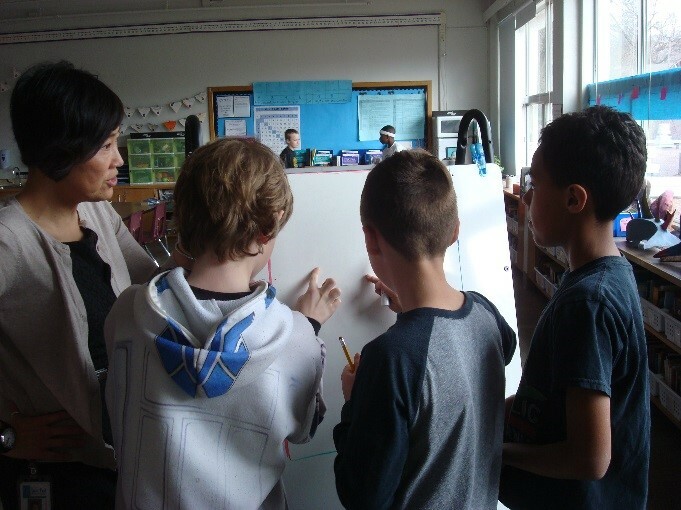 Gather student input: What did you notice? What worked well? What didn’t? Why? What might you like to do differently? Report the voting totals, reading aloud the Town Council’s reasoning for selecting the winning proposal. Students developed a plethora of creative ways to present their five proposals (see three of them on PLT’s YouTube channel): An I-Movie depicting what the woods could look like after development, a dance duo touting the merits of hiking trails, slides of a proposed mall and luxurious homes, a rap about “Trees and Fun for Everyone,” a map illustrating the benefits of rustic cabins and hiking trails, a nature education center with a touch and see room, and more. 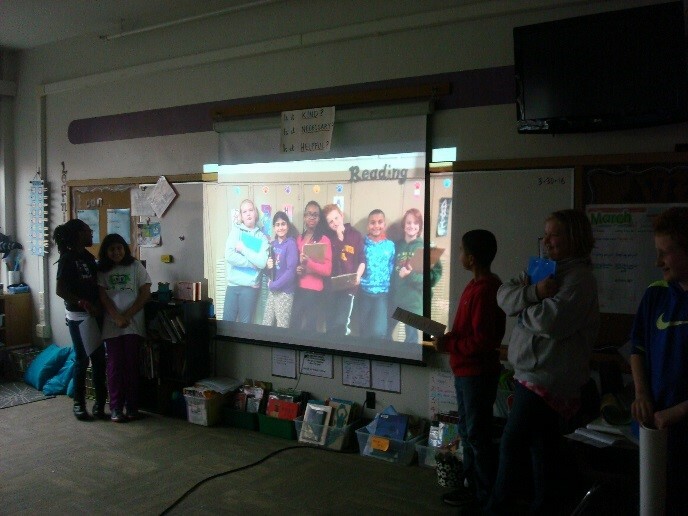 All of the groups integrated technology into their presentations in some way. Team 3 created this iMovie in a fun and creative 1960s style to present their proposal for building a mall and luxury homes on the donated land. 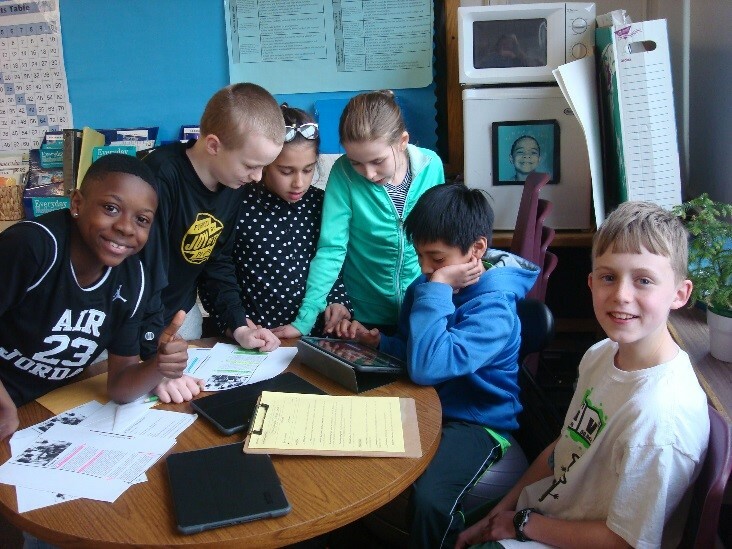 Another team also used their iPads to create an iMovie, advocating instead to keep Morris Woods as nature. These two 5th grade girls wrote their own choreographed song to support their proposal. Log in for more resources to support PLT’s Forest Consequences activity, including the “Morris Woods” Student Pages in English and Spanish. Karen Christenson is a science and literacy teacher with Saint Paul Public Schools in Minnesota and a National Project Learning Tree Outstanding Educator. 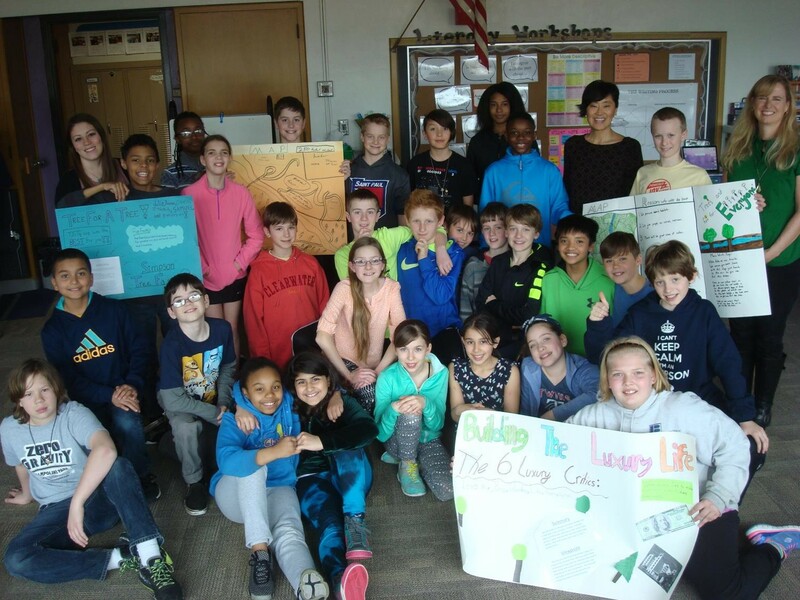 She teamed with Tari Hella-Yelk, 5th grade teacher at St. Anthony Park Elementary, and Maggie Gleason, a student teacher, to teach this PLT activity to Ms. Hella-Yelk’s grade 5 class. “Variety is the Spice of Life!” is the best way to sum up Karen Christenson’s attitude and experience as an educator. She currently works as a science and inquiry teacher in Saint Paul Public Schools (MN) and as a workshop facilitator for various nature programs. She introduces both students and colleagues to the joys of connecting to the natural world for learning and exploration. Her school partners with the Minnesota School Forest Program to find creative ways to use the schoolyard as an outdoor classroom. "PLT really forms the core of my curriculum," she stated, "It has such vibrant, engaging activities for both children and adults. Trees and forests can be used to teach any subject." In 2014, Karen was named a National PLT Outstanding Educator. In 2016, she was nominated for a Presidential Award for Excellence in Mathematics and Science Teaching.